The business of selling knockoff pills is suffering as regulators pull down barriers, competition mounts and buyers demand big discounts. The toxic mix of falling prices and piles of debt already hurt Mylan, Valeant and Teva. Their latest earnings show the hangover enduring. 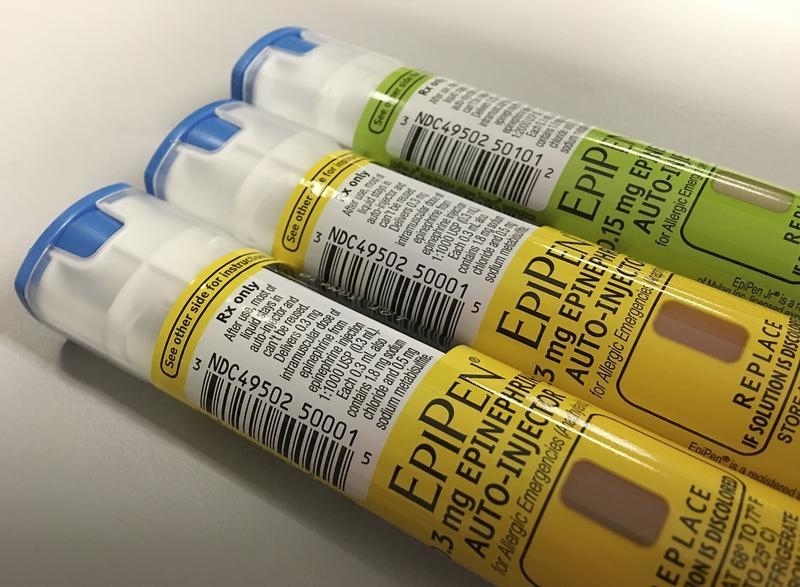 EpiPen auto-injection epinephrine pens manufactured by Mylan NV pharmaceutical company for use by severe allergy sufferers are seen in Washington, U.S. August 24, 2016. Mylan said on Aug. 9 that delays in launching new drugs and falling prices for generics will hurt profitability both this year and next. The company reported revenue of $2.96 billion for the second quarter, an increase of 16 percent compared to the same period last year, thanks to acquisitions. Analysts had expected $3 billion of revenue. Mylan now expects to have adjusted earnings of $4.30 to $4.70 per share in 2017. It had expected $5.15 to $5.55. It also lowered its 2018 estimate to at least $5.40 per share from $6 per share. Separately, rival generic-drug maker Taro Pharmaceutical Industries, reported revenue of $725 million for the second quarter. While the company sold more pills, sales fell 31 percent compared to the same period last year because of lower prices.